Join us for our first champagne tasting. Limited tickets available. $15.00 per person or $25.00 for two, includes 5 hand selected champagnes, light fares and chocolate. 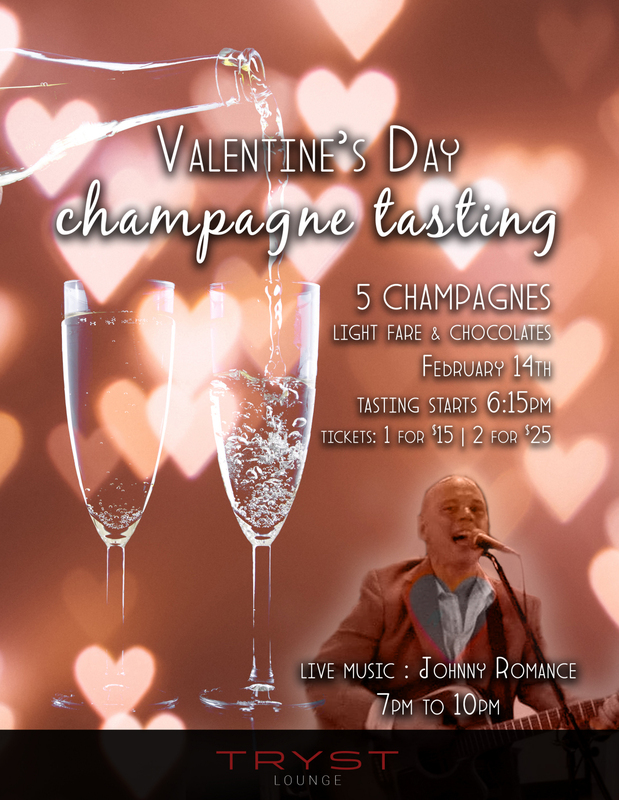 Johnny Romance will be playing 7pm to 10pm.